In the high desert of southwest Colorado, below well-known Mesa Verde, about 164,000 acres containing more than 6,000 known archaeological sites have been protected by the year 2000 National Monument Presidential designation. 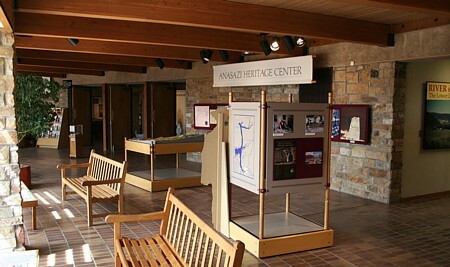 The monument contains the largest concentration of archaeological sites in the nation. Painted Hand Pueblo, built about 800 years ago, is a village site consisting of about 20 rooms, some faint rock art, and a magnificent stone tower. Deep soils suitable for dryland farming supported Ancestral Pebloan populatons on the Great Sage Plain, between Cortez, Colorado, and Monticello, Utah. 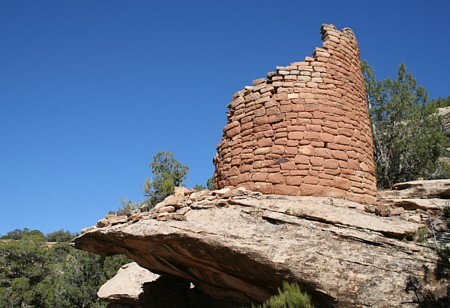 Painted Had Pueblo is lcated off BLM road 4531, en route to the Cutthroat Castle unit of Hovenweep National Monument. 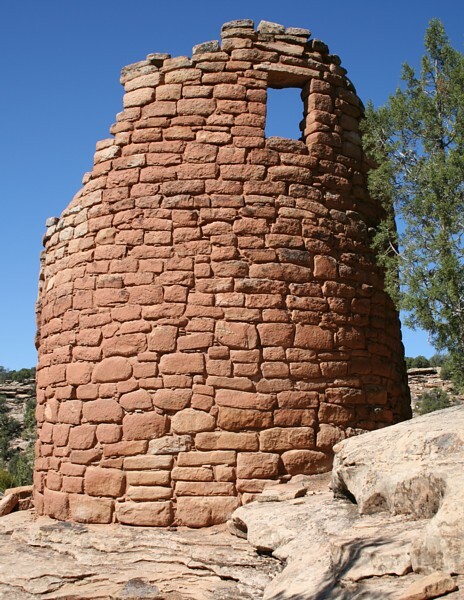 , or about 17 miles from highway 461 and Pleasant View, Colorado, over 30 miles from the Anasazi Heritage Center near Dolores. Access to the ruins and rock art includes a step trail descending a cliff face. The tower is visible from an overview also featuring a grand view of Rocky Mountain ranges. 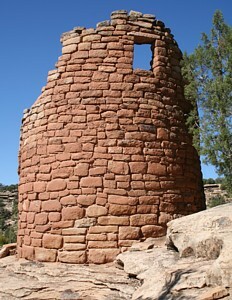 The stone masonry of the Painted Hand Pueblo tower is particularly well-crafted. 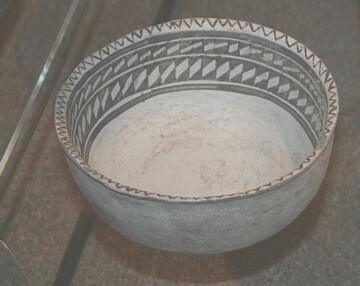 Finger impressions remain visible in the adobe mortar.